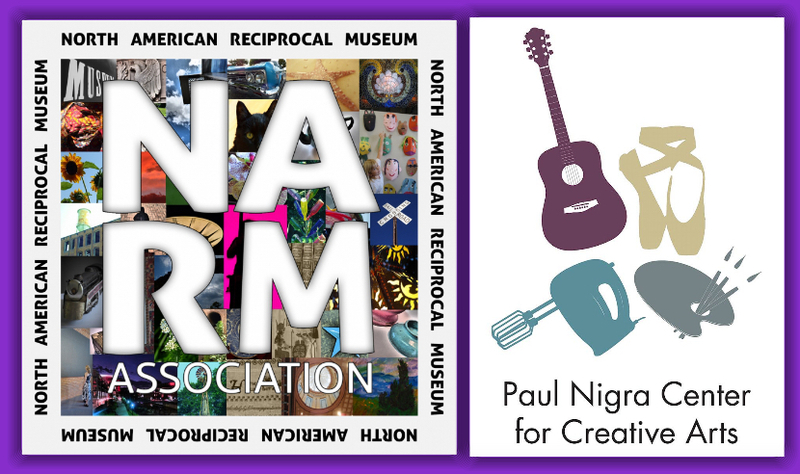 The Nigra Arts Center is trilled to announce we are now a member of the North American Reciprocal Museum (NARM) Association. This means arts center members (at the $100 Red Spruce level and above) receive FREE admission and shop discounts at more than 900 NARM arts/cultural institutions across North America. * Locally, these include the Iroquois Indian Museum in Howes Cave, Old Stone Fort Museum in Schoharie, Saratoga Automobile Museum, Albany Institute of History & Art, Albany Museum of Art, Fenimore Art Museum in Cooperstown, The Hyde Collection in Glens Falls and many others! Not already a member of the Nigra Arts Center? Get details HERE. Learn more about NARM & get a full list of participating institutions HERE.